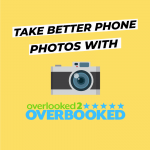 Do you want to make more money from your Airbnb listing? Silly me, of course, you do. Do you use Airbnb’s Smart Pricing suggestions? Do you use a third-party pricing tool like Beyond Pricing, PriceLabs, or Wheelhouse,? Do you not know what I’m talking about so far? Airbnb revenue management is a function of two things: rates and occupancy. Your aim is to achieve maximal numbers for both. I’m going to walk you through the three pricing methods first, then my strategy. There are three methods when it comes to Airbnb revenue management or calendar management. The first method sets one price for the entire year. The hosts who use this method may increase their price on the weekends and for the most popular events. This group is performing poorly at calendar management and missing lots of opportunities for revenue maximization (I’ll explain why below). The next group is using Airbnb’s Smart Pricing tool because Airbnb told them it’s the best thing since sliced bread. 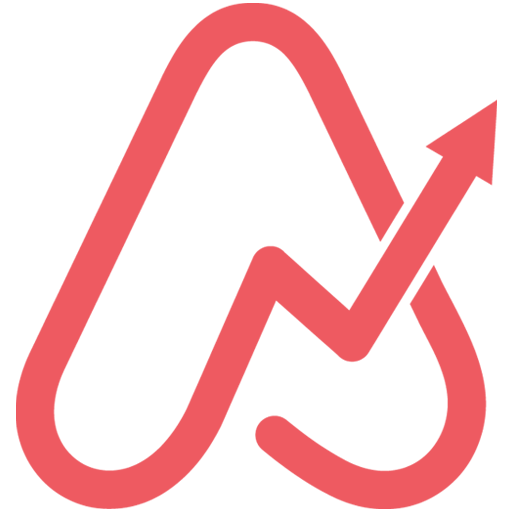 It’s free, updates automatically, and based on Airbnb’s data. What could go wrong? Hosts quickly realize the prices are low. This is because Airbnb’s goal is to put ‘heads in beds’. They’d rather give you 100% occupancy at a lower price, then 80% occupancy at a much higher price. Additionally, this tool comes with extremely minimal functionality. The third group is using a third-party intelligent pricing tool. (My recommendation is PriceLabs; Beyond Pricing or Wheelhouse are two of the better alternatives). You want to be in this group. 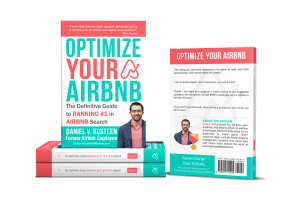 As an Airbnb property manager trying to make the most money for my hosts, I had no idea about all the various conferences in San Francisco throughout the year, not just Dreamforce in the fall, until I started using these tools. Let’s say you’re already connected to one of these tools. Or, I’ve convinced you with this article. Now, what? These tools aren’t a set it and forget it kind of tool. You’ve got to monitor your future occupancy rates. Most hosts are concerned with what they’ll get per night and their minimum. It doesn’t matter what you think you can get or what you want your minimum to be. 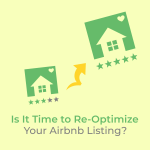 Airbnb is a true market in that the market will tell you what your listing is worth, not the other way around. For example, if you want to charge $200/nt and you’re at 20% occupancy over the next 30 days, you’re leaving money on the table. 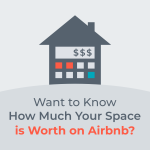 If you’re curious what your space is worth, click here for a simple tool from Airbnb to give you a starting point. My strategy assumes the host wants 100% occupancy at the highest rate possible. To achieve this, I have occupancy targets for 7, 14, 30, 60, and 90 days out. The vast majority of guests don’t book more than 90 days out. Those targets are 100%, 80%, 50%, 30%, and 15%, respectively. These targets change by the market. If the average guest in market A books on average 30 days out and the average guest in market B books on average 60 days out, I would want a higher occupancy at 30 days out for market B. Here’s another way to think about it: If the average reservation comes at 30 days out for market A, then only 50% of the available reservations are left to be booked within 30 days out from the reservation (In market B, this would be at 60 days out). So, around 30 days out for market A, I would want a 50% occupancy rate. I regularly monitor and adjust based on my real occupancy. If my occupancy is above my target, I raise my price. If my occupancy is below my target, I lower my price. The amount I lower/raise depends on how different my real occupancy is to my target occupancy. 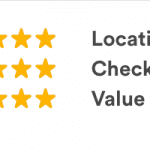 All of the recommended pricing tools above crunch the occupancy numbers for you. One of my favorite features of these tools is the automatic lowering of your rates if your calendar is open within the next week or so. This feature is hugely beneficial because a room marked down by 25% is better occupied than vacant given the fixed costs. Here’s a screenshot of one of the third-party pricing tools dashboard. I would lower this listings base price to increase its occupancy within 30 days. Don’t be fooled, though! You still have to monitor because one 2-week reservation can throw everything out of whack. In summary, your rate is based on your occupancy. The market sets your occupancy. Create occupancy targets over certain future timeframes, or use mine, and compare your actuals. Raise your price if you are over occupied and vice versa. 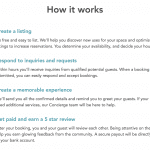 I offer Airbnb revenue management to hosts with 5+ listings (and in rare circumstances to hosts with less). Please send me a message if you’d like to learn more. What are your pricing strategies? I’m curious to know; please comment and tell me.